The Tai Chi Book is a detailed guide for students who've learned a Tai Chi form and want to know more. It also introduces beginners to the principles behind great Tai Chi, and answers common questions that all of us have.In addition, he applies logic and basic scientific principles of anatomy, physiology, and physics to muscular action, breathing, and alignment in Taiji movement and push-hands. 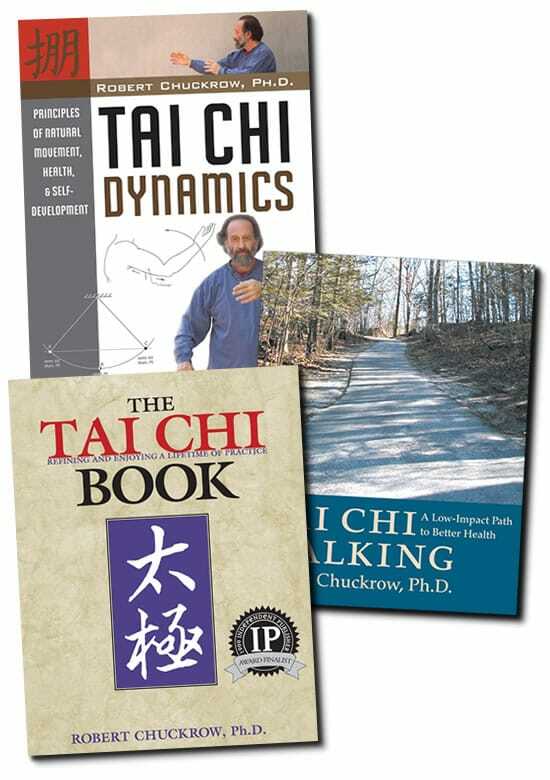 Like two books in one, basic and advanced Tai Chi training. Walking should be one of the most natural things we do. Tai Chi Dynamics is intended for intermediate and advanced Taiji players. The author has been a Taiji practitioner for thirty-seven years and with a Ph.D. in experimental physics. He applies logic and basic scientific principles of anatomy, physiology, and physics to muscular action, breathing, and alignment in Taiji movement and push-hands. He clarifies, in depth, many perplexing concepts such as "correct force" by utilizing detailed explanations, illustrations, and photographs. Sayings from the Taiji Classics are quoted throughout, and exercises are provided to give readers a chance to confirm their understanding. Over a dozen self-defense applications of the basic Taiji movements are illustrated, and the effectiveness and completeness of Taiji as a martial art today is candidly analyzed. Suggestions for many aspects of teaching Taiji are provided, which stem from over three decades of practical experience. A chapter on Zheng Manqing (Cheng Man-ch'ing), with whom the author studied for five years in the early 1970s, sheds light on Zheng and his students. One chapter deals extensively with aspects of self development from a personal perspective, discusses how doing Taiji correctly is a precursor to spiritual growth, and compares religion, science, and spiritual teachings. A detailed chapter on health, self-massage, and healing discusses fasting (including the author's own experience with a twenty-eight-day fast), differences between Traditional Chinese Medicine and Western Medicine, and provides exercises and methods of self-massage for head, legs, feet, and back. There is even a section on how to make your own footwear suitable for practicing Taiji. The book includes personal anecdotes and stories and has over one hundred photographs and illustrations drawn by the author.